Why does the name Geronimo spring to mind when thinking of an Indian warrior chief? Probably because he was not only the most successful opponent of the U.S. Cavalry between 1876 and 1886, when he surrendered; and he was the subject of so many articles in the press of that time that he was therefore widely known among the American people around the turn of the century. 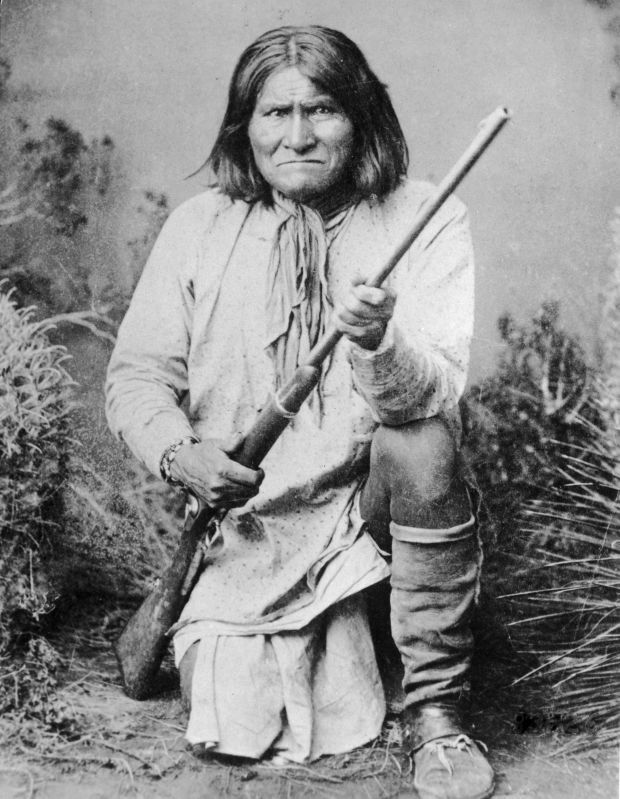 Curiously, Geronimo was never really a chief. The chiefs of the Chiricahuas included Mangas Coloradas (“Red Sleeves”), Cochise, Juh, and finally Cochise’s son Naiche. Rather, he was a famed medicine man and military tactician. Although he owed fealty to the chiefs of the Chiricahuas, he was the military genius behind most of the raiding that was done on both sides of the U.S./Mexico border, where he successfully evaded the military of both nations. I have just finished reading Robert M. Utley’s Geronimo (New Haven: Yale University Press, 2012). Now retired (but still writing), Utley is former chief historian of the National Park Service, for whom he worked for many years. If you are interested in the history of the American West, I recommend you check out his website.